The North of England Institute of Mining and Mechanical Engineers, located in Neville Hall in the heart of Newcastle, has secured Heritage Lottery Fund (HLF) support* of £4.7m, including development funding of £600,000. Securing a future role for the Institute in providing exceptional meeting spaces for the Region and promoting – in the building and online – a programme of debates, conferences, seminars and events that contribute to the economic, social, environmental and cultural life of the region. The Institute’s vision and commitment to identify new opportunities to support economic growth, through working with partners across the public and private sectors, are pivotal to its development plans. The Reece Foundation has given a powerful signal of support for the Institute with an award of £100,000. Commenting on the news of HLF’s support, Catherine Miller, President of the Institute, said: “This is a momentous day and is a major milestone in securing a future for a Great North Institute. 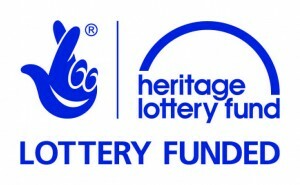 We are delighted that HLF is investing in our mission to celebrate an esteemed industrial heritage and our vision for current and future generations”. Ivor Crowther, Head of HLF North East, said: “Lying in the heart of Newcastle, this new resource will bring fresh life and energy to the legacy of the North East’s industrial and engineering heritage. Plans to restore the existing Institute and to create a Common Room for the Region with a programme to illustrate this far-reaching story are already well developed. We look forward to working closely with the Institute over the coming months”. funding, Great North Institute, HLF. Bookmark.